Yesterday the City of Vancouver announced that it will be leasing some of its land to rental housing developers. The initiative is part of the city’s larger attempt to solve the housing crisis by giving market incentives for the construction of affordable housing in Vancouver. Private developers have been given tax breaks and fee exemptions under Vision’s two terms; this latest policy is a significant change because it adds subsidized land as part of the larger incentive package for the industry. 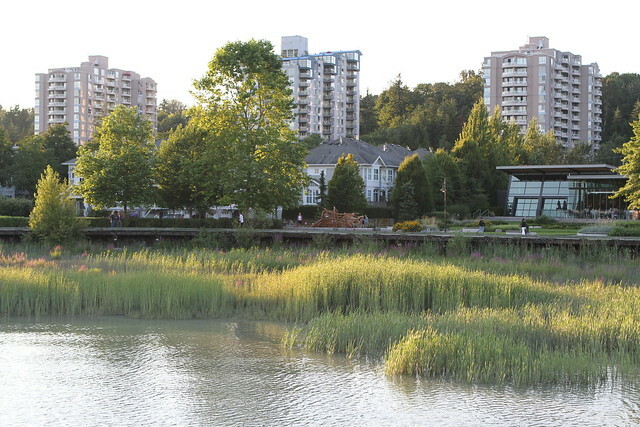 In the next few months the city will be taking proposals from developers for a total of five hundred new units of rental housing on six city-owned sites, mostly in South-East Vancouver. The submissions will be the first step in the life of 3-year projects slated for completion in 2015. According to city documents, the six sites initiative is slated to fulfill the city’s “non-market housing/social housing” section of the housing continuum. Recently the Pantages development saw the city approve “social housing” units in the DTES scheduled to rent at $900 for a one-bedroom per month. The six sites are planned as below-market housing. Vision Vancouver has historically used the term “below market” with great elasticity. In Fairview the ‘replacement affordable housing’ for the Heather Place redevelopment is also called below-market and will be in the $1,700 range for a two bed room. More recently the city approved the Aquilini Rogers Arena as part of its Homelessness Strategy, renting at $2,000 per month for a two-bedroom. The new proposal keeps with previous Vision policy by offering the same million-dollar tax exemptions for developers, without placing restrictions on rent or affordability. As with the city’s defunct STIR policy and the recent $35 million CAC exemption for the Aquilini rental project at 800 Griffiths Way, CAC and DCL exemptions are more or less automatic on new rental projects, amounting to millions of subsidy for the private development industry. The only identifiable difference between the six sites and its previous incarnation, the STIR policy, is that the six sites initiative subsidizes the private development industry by providing cheap land. In 2008, Gregor Robertson was elected in a large majority because he and his party acknowledged that the majority of Vancouver residents were facing a housing crisis. Since then housing issues have continued to be primary concerns for people, as shown in a recent poll by Justason Market Intelligence. The poll, conducted in mid-July, confirmed that cost of living, housing affordability, poverty in the Downtown Eastside, and homelessness currently make up 66% of residents’ concerns. In addition to failing to place a threshold on rent, Vision’s ongoing policies of facilitating renoviction and rental-demolition show no sign of changing direction. The city grants permits for renoviction and demolition almost every day and is giving no hint that it will change its “revitalization” agenda for the city’s most affordable areas. The new rental housing proposed – in such small numbers and with no stipulations placed on rent – won’t stand up to the dramatic loss of affordable housing every day in Vancouver. Vision has failed time and time again because they continue to call on the private development industry to solve the affordability crisis. Image credit: Flickr user My World is Amazing. Posted in City Hall, Housing, News. Bookmark the permalink. COLUMN | The Olympics – a celebration of human excellence, or a party for the rich funded by the rest of us?